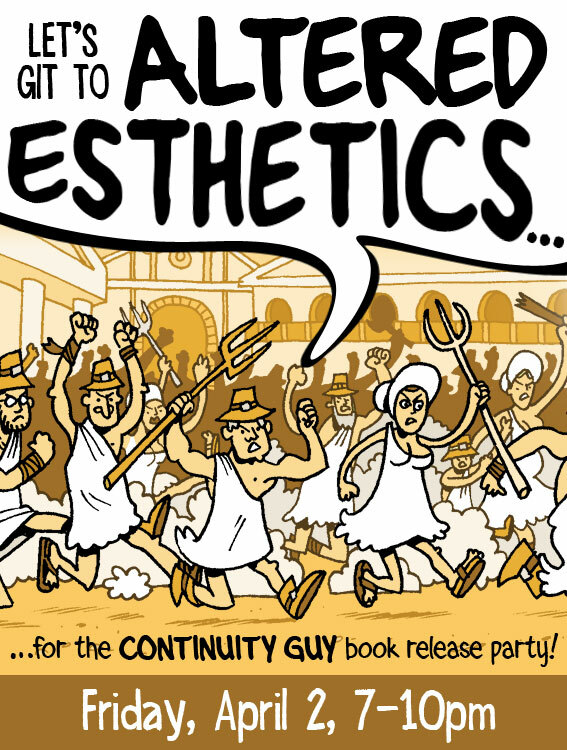 Big Time Attic: CONTINUITY GUY Book Release Party This FRIDAY! 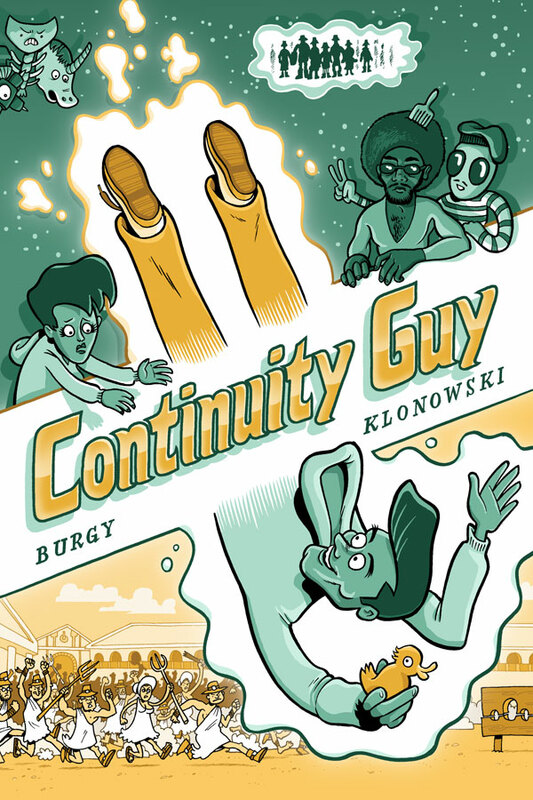 Local comics legends BUD BURGY and DANNO KLONOWSKI have finally wrapped up their 45-week serialized time-traveling, universe-shifting, gender-bending space opera, and they're throwing a party to celebrate! 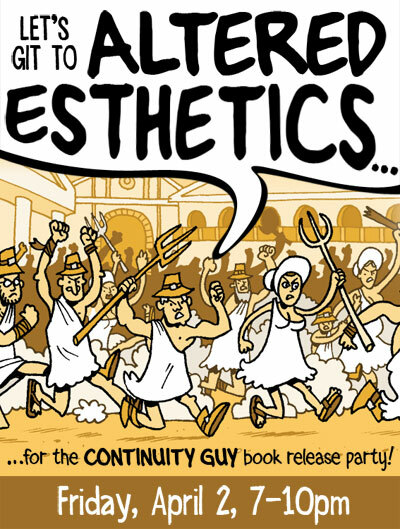 Bud and Danno will be on hand at Altered Esthetics this Friday night to celebrate the release of CONTINUITY GUY, which they've collected into a beautiful little book. The cover, I should note, is of my doing and I look forward to seeing how it looks in person. Here's more info on the release party, which coincides with the opening reception of Altered Esthetic's art show, "Creative Collaborations." once again, if by implication it was not made clear, GORGEOUS cover man.